1) What has been the broadcast industry's feeling about the move to an all IP workflow? 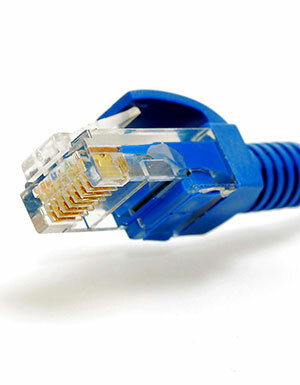 IP is touted as offering numerous benefits, including lowered capital and installation costs, large weight reductions of mobile production vehicles, and use of easily replaceable and upgradable off-the-shelf "generic" equipment from the computer network sector. However, a shift to any new technology or business model is almost always accompanied by a certain amount of anxiety or even discomfort. There seems to be a great deal of apprehension and uncertainty about IP, and possibly even more than in the 1990s when we began to get serious about transitioning from analog to digital technology. Some of the same arguments voiced then are being heard now: the inability to simply troubleshoot signal flows (plugging headphones or video monitors into patch panels), putting all of one's eggs in one basket (muxing audio with video), and operational uncertainty surrounding the new technology (difficulties in monitoring levels and a difference in the methods used to speedily identify and restore failed equipment or signal paths). Some of this trepidation could stem from the very nature of IP - no more direct "point A-to-point-B" signal pathing, unpredictable latencies, software-driven transport systems, radically new troubleshooting techniques and - especially in the audio realm - a lack of consensus or standardization about the best way to achieve IP connectivity. This need not be the case, as with careful planning and embodiment of technologies available it is possible to enjoy the best of both worlds. 2) Is IP mature enough of a technology to support a broadcast workflow? While broadcasters may harbor some concerns about IP, it's important to note that there is really nothing new or untried about the concept of moving packets of data containing built-in addressing information, or datagrams, from multiple sources to multiple destinations through a common network. IP came into being more than 40 years ago and is the mainstay of the Internet. If such technology didn't work well and offer a high level of reliability, the Internet would never have gained acceptance. 3) What are some of the benefits of IP? IP brings with it many very real and tangible benefits. One is the use of low-cost and lightweight "CAT" data cable instead of conventional coaxial and shielded twisted-pair cabling. This can greatly reduce fixed facility construction costs, and in the case of a large mobile production truck, substantially reduce curb weight, increasing allowable payloads and potentially reducing operating costs over the life of the vehicle. Another advantage is the substitution of off-the-shelf IP data switches for massive and expensive conventional audio and video routing systems leading to cost savings. An IP switching system and infrastructure is totally agnostic when it comes to signal format. An SDI router with SD inputs would balk when confronted with HD video or discrete AES/EBU audio signals, but this is not the case with IP. SD, HD, 3G and UHD packets are all accommodated as well as different audio "flavors" (mono, stereo, 5.1, 9.1, etc.) in varying sampling rates. Even in such a limited IP application as the replacement of conventional multicore audio "snakes" with networked audio connectivity can be beneficial - from easier deployment, lighter weight and reduced complexity in construction and maintenance. Other big advantages that come from transporting audio and video signals on an IP network include the capability for remotely monitoring signal flow and the health of these signals from virtually anywhere in the world, and the ability to easily and speedily reconfigure a single piece of equipment connected to the network, or simultaneously make changes to any number of network-connected devices. Similarly, a network environment like this lends itself to dynamic reconfiguration to accommodate special routing and/or processing requirements during certain portions of the broadcast day, or for the origination of special events outside the studio environment. These SDN and IP-connected systems could eventually lead to the abandonment of conventional outside broadcast practices, with little more than direct-to-cloud cameras deployed at the sports center or other remote venue, and switching, DVE, monitoring, intercom and other equipment remaining behind at the studio facility and repurposed as required. 4) What approach should broadcasters take when moving over to IP? The best way to approach this move to IP is to learn from our recent move to digital. Transitioning from a conventional infrastructure to an IP-connected environment doesn't necessarily mean a "flash cut" any more than it did when moving from analog to digital. A much more reasonable approach was to ease into the new technology with the creation of "islands of digital." Similarly, a "hybrid" approach to IP can be the reasonable line of attack when making the move to this new technology. Several broadcast audio monitor manufacturers are already offering interfaces to tie IP switching to conventional A/V routing operations. While the success of several large audio and video IP implementations in recent years should allay any concerns about latency and lack of predictability in packet delivery, beginning with the audio side of things might be the least stressful way to go when moving to IP. Any packet delays that might occur are rarely a factor in audio delivery, as they're well within the window of consumer acceptability. 5) What are some elements that one should look for when starting the transition to IP? Established broadcast manufacturers are jumping on the IP bandwagon by offering gear to create IP infrastructures, but it's important to identify those solutions which offer user-friendly switching and monitoring. In planning and implementing such an audio IP "island," as I previously mentioned, a number of broadcast audio monitor manufacturers offer control system interfacing to make the new way of doing business operationally transparent to control room personnel and alleviate any angst associated with it. Similarly, audio signal monitoring within a hybrid environment should be equally transparent to operators, provided appropriate monitoring gear is installed. Ideally, only a single monitoring instrument should be necessary for observing both legacy and IP-networked audio. In selecting a suitable monitor, you also need to consider its ability to work with a variety of protocols. There is still some industry uncertainty about which is ideally the "best" networking system, since multiple, and not necessarily compatible and sometimes proprietary, protocols like RavennaTM, DanteTM, AES67 and others exist at the present time. While a number of monitoring solutions are available from several manufacturers, few have the ability to work with both existing audio "flavors" (analog, discrete and SDI-muxed AES/EBU) and IP-delivered audio arriving in a multiplicity of protocols. Even fewer IP audio monitors can transmit AoIP, making it a versatile gateway component. One line offering this versatility is Wohler's iAM Series of monitors. They combine easy and intuitive operation, along with rich data displays and seamless switching between various audio formats and protocols. Wohler's iAM-MIX and iAM-AUDIO solutions should also be considered when moving into a hybrid "conventional" and IP audio environment. In addition to monitoring, iAM units provide audio mixing capability and provide convenient labeling of sources. Both lines offer browser-based operation, front panel controls and remote monitoring and logging capability. In addition, they will continue to be easily software upgradable as new audio-over-IP protocols and standards emerge. Craig Newbury is Vice President of Sales & Marketing for Wohler Technologies, leading manufacturer of video, audio and data monitoring solutions.